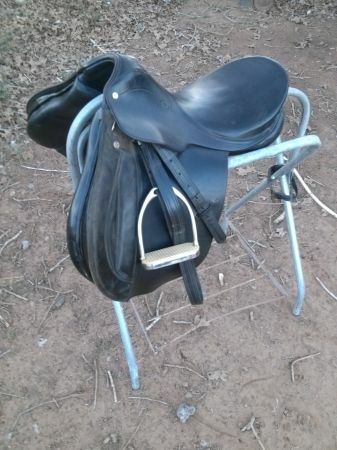 Just in time for Christmas Black Courbette Husar Fels Bach Ag all purpose saddle. 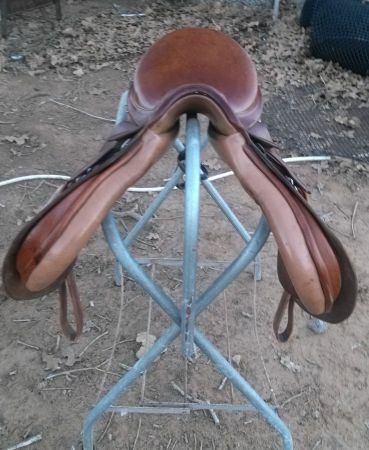 This saddle has a 16 in seat and is in great shape. 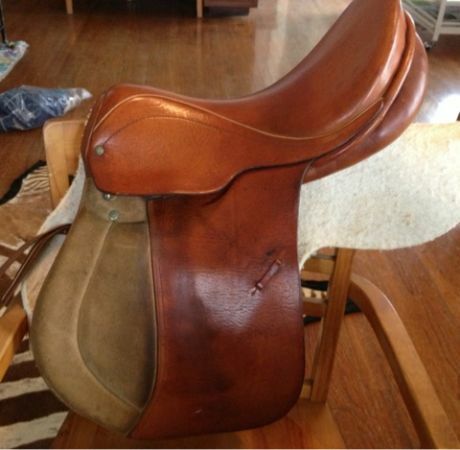 Comes with leathers and irons. Suede knee rolls and medium gullet. 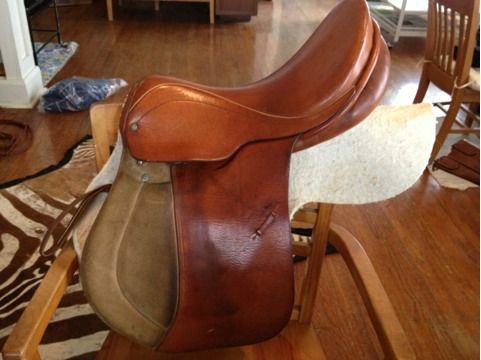 Saddle is very comfortable. I purchased it from Germany and had it shipped here a few years ago.